President @ Rituals Cosmetics Inc.
Marjolein is born in Amsterdam on March 20th, 1975. She is married, a mother of three and likes running, skiing, traveling and meditating. She started her career as a geography teacher and now is a highly accomplished senior level executive with extensive experience in the omnichannel approach for brands. She worked in several roles in education, apparel, and beauty and is consistently recognized as a strong inspirational leader who easily leverages other people. 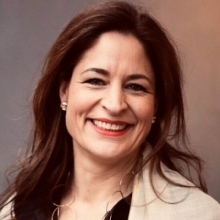 Within Rituals, Marjolein has a strong track record as Country Director for the Netherlands, Belgium, Luxembourg, Switzerland, France, the UK and now the US. 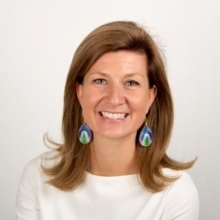 Marije has been of Head Internal Communications at NN Investment Partners for six years. She has over 14 years of experience in internal and leadership communications, helping companies to effectively translate business strategy to their staff. During her career, she developed a variety of communication strategies and tools to guide companies through change. In 2016 she became Editor-in-Chief of Added Value. The newspaper received an overwhelming response, which led to the idea of translating the concept for other companies as well. Marije now lives in New York where she consults with A-list companies who face the challenge of making their workforce more (gender) diverse. RITUALS, the leading bath and body brand in Europe, is a unique lifestyle brand that offers luxurious yet affordable products for body and home. With an expansive line including body care, scented candles, fragrance sticks, natural skin care, the brand helps customers to find happiness in the smallest of things and focuses on turning everyday routines into more meaningful moments. The luxury brand has almost 750 stores, more than 2500 shop-in-shops and 4 city spas in 27 countries worldwide. The importance of staying true to your brand values as a way to establish meaningful connections with both your customers and your employees. The company’s authentic and exceptional in-store experience (with activities like yoga and meditation) that encourages customers to take a break from their hectic schedules and literally ‘slow down’.